Entercom reported third quarter net revenues for the quarter increased 5% to $120.5 million from $114.6 million in 2017. Station operating income (SOI) grew 12% to $37.9 million from $33.7 million, while station expenses were up 2% to $82.5 million. Adjusted EBITDA increased 8% to $30.4 million from $20.8 million. The company posted a Q3 net income of $10.89 million (28 cents per diluted share) as compared to $8.1 million (21 cents) in the year-ago period. President/CEO David J. 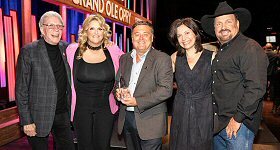 Field stated, "Entercom delivered another solid quarter of organic top line and bottom line growth, demonstrating the strength of our great local brands and our outstanding team. We are also very pleased to have just completed a highly successful refinancing that will lower our annual interest expense by more than $10 million and to have announced a terrific, value-creating acquisition of four stations in Charlotte. We are excited by the opportunities ahead as we look to finish the year on a strong note and get off to a great start in 2017." Additionally, the company's board of directors has declared a dividend of $0.075 per share which will be payable on December 15, 2016 to shareholders of record as of the close of business on November 28, 2016.